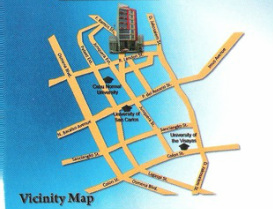 Located at the center of Cebu City's top University & Colleges. From Velez College to University of San Carlos. 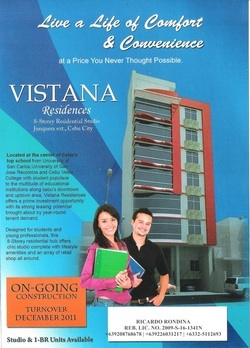 Vistana Residences offers a prime investment opportunity with its strong rental / leasing opportunity brought about a year round tenant deman. Designed for students & young professional, this 8 storey residential hub offers chic studio complete with lifestyle amenities and array of retail shops all around.